We would like to take this time to answer some common questions prospective participants have. We provide advocate and home care services for Indiana’s residents 50+ Years Young, veterans and disabled community members of any age residing in Indiana’s Northern Counties. We are available Monday to Friday; 9:00 AM to 4:30 PM. We close the office for lunch, 12 PM to 1 PM. We are an in-home service company, so we travel to you. Whether you are residing at home, the hospital or a nursing facility, we will come visit you free of charge. 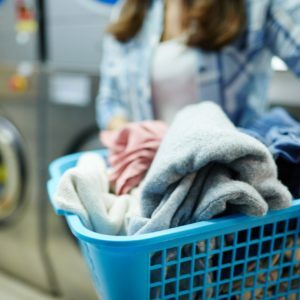 We also offer Pick up & Delivery Laundry Services and deliver affordable Personal Care Baskets. This service is great for your loved one residing at home or in a nursing home! We service all of Indiana’s Northern Counties. Our Corporate offices are in Gary and Michigan City, Indiana. Do you provide home health care? No, we provide non-medical home care, like assistance with activities of daily living. Your home caregiver can assist you with toileting, bathing, cooking, light household chores and other non-medical activities. I live out of town, can you keep a eye on my Loved One? Yes! Our Health & Advocate services will monitor your loved one’s to ensure optimal care is provided by their medical care team. We will coordinate with their physicians and staff to keep you informed and involved in your loved one’s health care decisions. Contact us for more information! What is Medicaid, is it the same as Medicare? Medicaid is not Medicare. Medicaid is a federal and state funded program, operated by the Indiana Family & Social Services Administration (FSSA). Medicaid pays necessary medical expenses for many Indiana residents. Medicaid has over 26 categories of health coverage, including but not limited to Breast & Cervical Cancer, End-Stage Renal Disease and Long-Term Care assistance. You must meet certain financial eligibility requirements and if eligible Medicaid directly pays your doctor, hospital, nursing home and other medical providers. You can also have other health insurance and/or Medicare and still receive Medicaid assistance. Medicare recipients who do not qualify for full Medicaid coverage may still be eligible for assistance covering out-of-pocket Medicare expenses! My love one is in the nursing home and the bill is over $6,000 per month! Can you help us apply for Medicaid benefits to pay that? YES! In most situations, we can assist you and your loved one apply for Medicaid benefits. Residing in a nursing home is expensive and will deplete your savings in a matter of months! We can help you get financial assist with your long term care needs! 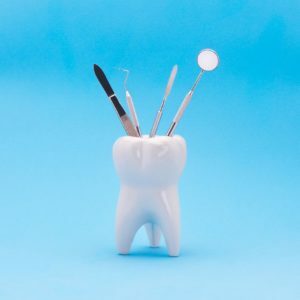 Contact us to schedule your free consultation! I am over qualified for Medicaid. Can’t I just give my excess assets away to qualify for Medicaid? NO! Do not give away or transfer any of your assets to anyone without proper guidance. Medicaid will penalize you for assets given away or transferred without compensation. Medicaid also have a 5-year “Look Back” Period. This means you will have to report any assets given away or transferred to someone else in the last 5 years. Often a proper spend down involves giving away or transferring assets however please seek assistance first before attempting a spend down of your assets to avoid unintentional Medicaid penalties! How can I preserve my assets? I worked hard to be able to leave something for my family! There are options available to assist you in qualifying for Medicaid as well as preserving some of the inheritance you expected to leave your family! A common misconception about Medicaid is you must first become impoverished before you can receive assistance. If you anticipate you or your loved one will need Medicaid assistance sometime soon, now is the time to review some of your choices to preserve some assets. Please note, there will be some loss of assets for your care however you do not have to lose it all! I want to remain at home but I need a little assistance with my daily living, can Medicaid help me pay for that? Yes, there are Medicaid programs for citizens at least 65 years to help them reside at home as long as possible. These programs help financially assist with in-home care, transportation, day centers for social entertainment and home-modifications to ensure your home is safe and accessible! Contact us for more information! I am in need of household and personal supplies but I am unable to drive, do you provide a service for that? Of course! 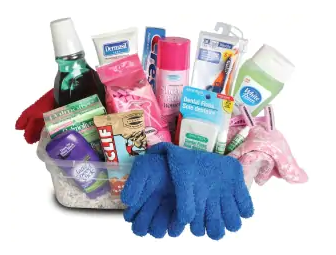 You can order one of our Beacon Care Baskets to fit your supply need! 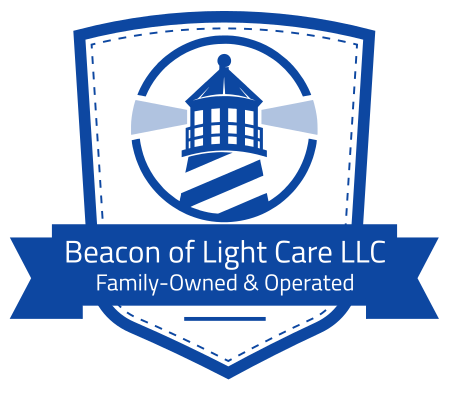 Your Beacon Care Basket will be delivered to you or you can arrange for your Advocate to provide transportation to your favorite shopping stores. Contact us for more information! Our friendly and knowledgeable customer services reps are available to answer your questions during office hours, Monday – Friday 9 a.m. to 4:30 a.m. Give us a call at (219) 292-7555 or complete the Contact Form and a customer service rep will contact you within 24 hours! *Please note, our office is closed for lunch, 12 pm to 1 pm.